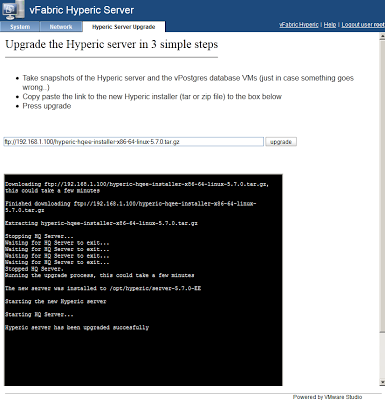 Hyperic 5.7 went GA this week and while upgrading the vApp is pretty easy, there's some info not included in the documentation that can help you get through this quickly. First, the vApp upgrade steps in the "Getting Started with vFabric Hyperic 5.7 Guide" don't tell you which file (of the dozen or so available on the VMware download site) to use. 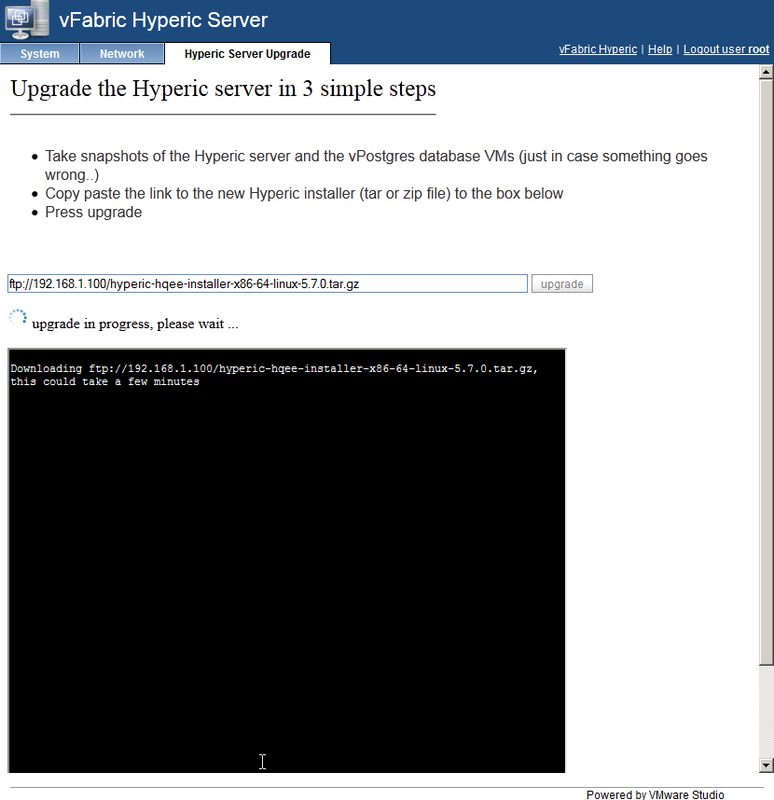 You want to grab the file hyperic-hqee-installer-x86-64-linux-5.7.0.tar.gz for this upgrade. 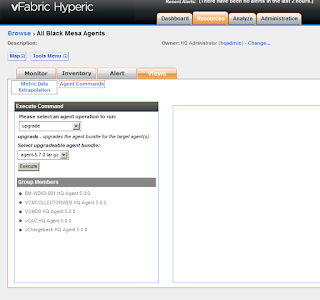 You will need to place the file on an FTP or Web server you can access from the Hyperic vApp. You will be using the VAMI interface at https://:5480 to perform this upgrade. In my case, I just put it on my lab FTP server and enabled anonymous login so the wget process run by the VAMI upgrade can download the file. 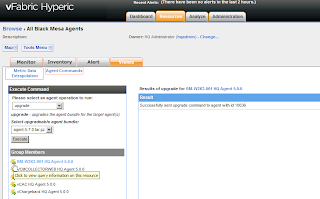 You may want to upgrade your agents - there are some fixes for a couple of the plugins, most notably Windows AD 2008 monitoring is finally working! Thankfully, this is a pretty pain free process as well. 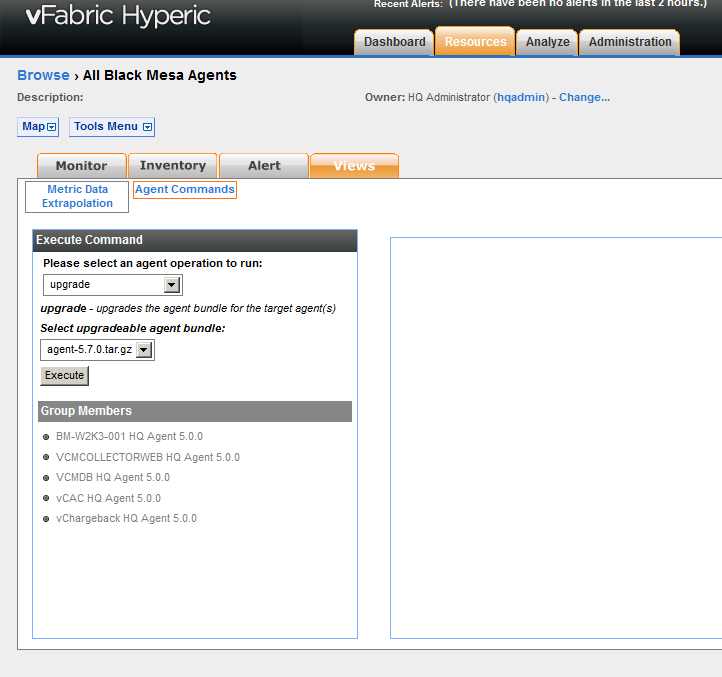 What I recommend is to create a group for all of the HQ Agent "servers" so you can upgrade at one time. 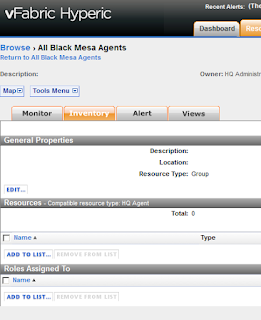 To do this, you select "New Group" from the Tools menu under the Browse tab - as below. 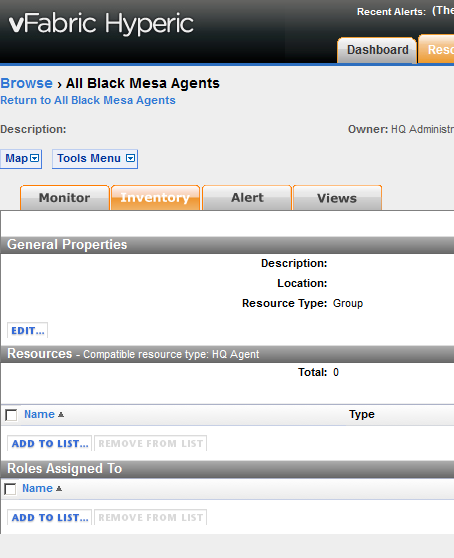 ...and move them over to the right hand "Add Resources" table and click "OK"
Now you are ready to upgrade the whole group, by selecting "Views" and then "Agent Commands" for the group. 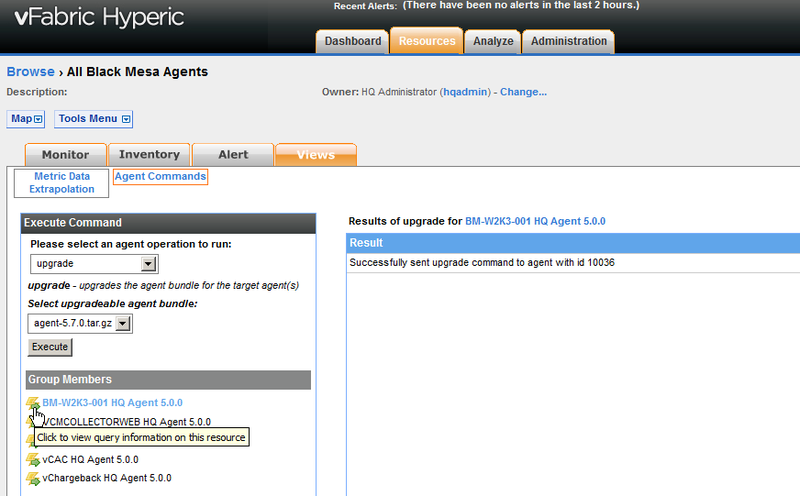 The agent operation you want is, of course, "upgrade"
And that's it - after a while (my lab only took a few minutes for the half-dozen servers) you can verify the agent version by browsing to the server and selecting it.